Cristiano Ronaldo is one of the greatest players of all time and has had one of, if not the most illustrious career in footballing history. His career so far has seen him go from a young hopeful at Sporting Lisbon to capturing the imagination of the entire world through his exploits at Manchester United, Real Madrid, Juventus, and his national team Portugal. Ronaldo's professional career began in 2003, and since 2004 the Portuguese legend has featured in every team of the year. But it is his career since the 2007/08 season which truly marks the point that Ronaldo became the player that the world knows and applauds today. 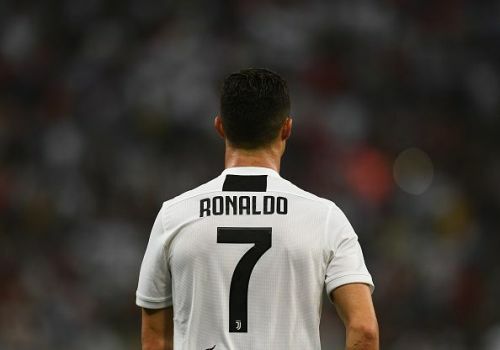 Although Ronaldo's career so far has been filled with a whole host of memorable moments and highlights, this article will look at what are arguably the top 10 highlights of his awe-inspiring career so far. After wildly impressing Sir Alex Ferguson in a friendly between Man United and Sporting Lisbon, Cristiano Ronaldo was approached by the legendary club and offered a contract. Without much hesitation, Cristiano agreed to join the club at the young age of 18, becoming the first ever Portuguese player to be signed by the Red Devils, as well as being the costliest teenager in English football history at the time. Although Manchester United didn't have a trophy-filled season, compared to previous years, in Ronaldo's debut season, they did manage to win the FA Cup, with the then young pretender scoring a header. Why this is a key highlight of Ronaldo's career is that it was the first major trophy he won, he won the 2002 Supertaça Cândido de Oliveira with Sporting but he did not play in the match, and although he has since then gone on to win much bigger titles, this was the first significant one that would have no doubt given him the taste for the success that would later come to him.